Thanksgiving is tomorrow, which means that in addition to the the turkey, football and Macy’s Thanksgiving Day Parade you can expect lots and lots of sales! App Store prices have already started dropping on many great iOS apps and games for Black Friday and we’ve got your complete list below. As is our tradition, we’ll be bringing you complete coverage of all the notable iOS app sales so you don’t miss a thing. You can expect A LOT MORE to be added to this list as we head through the weekend and into Cyber Monday, so make sure to BOOKMARK THIS PAGE and keep checking back all weekend long for newly added apps. If you need some new Apple hardware, there are iPhone, iPad and Apple Watch Black Friday Deals available at Wal-mart, Target, Best Buy and more. Just note that these sales generally do NOT include the latest models of iPad or Apple Watch. Apple will also be having a multi-day sale, but as of right now we don’t know what deals they’ll be offering (usually better deals can be found at the major retailers.) Note that you can get an additional 5% off at Target if you pay with your Red Card, including Apple Products and iTunes Gift Cards! 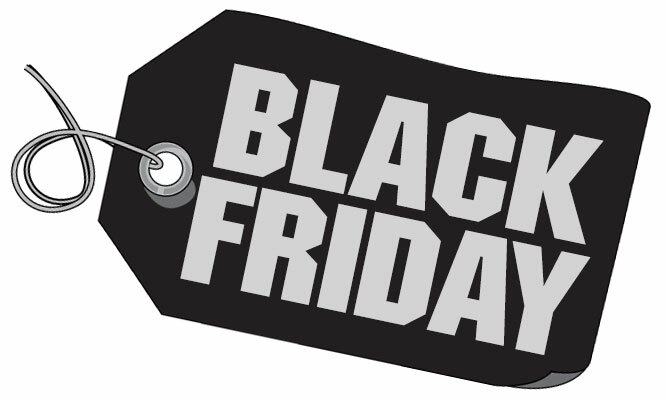 I also recommend downloading the BFAds Black Friday Sales app (my favorite of the bunch) to see, track and compare all of those. Remember a number of these sales are either already available in pre-Black Friday Sales or will be available tomorrow afternoon both online and in stores! iPhones: Target is offering $150 gift cards on iPhone 8, 8 Plus or X and $250 Gift Cards on the XS and XS Max. BestBuy isn’t offering a gift card, but instead up to a $200 discount on Apple iPhone X and up to $150 on the iPhone Xr, Xs and Xs Max with Qualified Activation. iTunes Cards: If you need some iTunes credit, Target is offering a buy one, get one 30% off deal and Best Buy is offering $50 iTunes Gift Cards for just $40! iPads: Target is offering $80 off all 6th gen iPads and the iPad Mini 4 is $150 off, making them each start at just $249.99. Best Buy is offering up to $150 off the 10.5 inch iPad Pro and up to $100 off the 9.7″ iPad. Apple Watch: At Target, last year’s Series 3 (GPS-Only) Apple watch model starts at $199.99 ($80 off), Kohls isn’t offering any sale price on the Apple watch, but if you purchase an Apple Watch $15 in Kohl’s Cash for every $50 spent, netting you about $120 in Kohl’s Cash on a Series 4 Apple Watch! Best Buy only seems to be offering a $50 discount on the Series 3 Apple Watch. Note that App Store prices fluctuate frequently and there can be some propagation delay, so the prices above may not be correct. Always make sure that the price is correct before clicking ‘BUY’. ← PAX East 2019 Tickets Are On Sale Now…Go! Go! Go!